I may not be able to contribute a lot to the site for the next several days, but I can still post from my phone. Please excuse typos or a lack of shift key usage. Deck can fix those. This is commentary, not news. Actually it’s speculation to be precise, but if you are after news, skip over this. 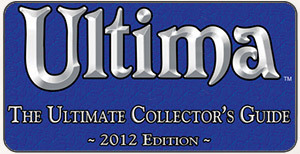 Just so you know, my track record with UO speculation is about 50%, less if you ask my friends. Hopefully Deckard will add appropriate links after I post this, but here goes. Tonight, somebody with UO posted on Facebook that the graphics document is written (link). This is their plan for whatever you want to call the graphics upgrade or the higher resolution or enhanced artwork. Details are supposed to be released soon. The other night during the video panel, they had to discuss whether or not to discuss the artwork. They even muted the audio on us and went to a UO logo screen. Last week, Cal made a very cryptic reference to a lot happening between January 3rd and now (link). Deckard can provide the date/links, but you can search for January 3rd and probably hit it. It was a very cryptic reference that implied that major things involved UO were happening. 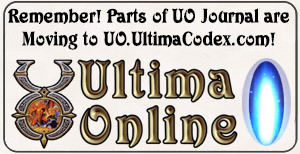 I don’t think our archives are back online just yet, but prior to January 3rd, it seemed they had a pretty clear plan for UO moving forward, and it didn’t seem to include a graphics update. By now most of us had expected the next booster to be announced, since that would match their schedule. Cal also made a reference to pr adding game footage, and that played out really weird as far as where the footage came from and whether it was stock EA footage. Last week, we also get the dev video diary (link). It was butchered, and I’m being kind. There was something like 5 seconds devoted to the upgraded graphics and Supreem’s comments before and after his brief mention of the upgraded graphics were edited out. From the video HOC (link) they were clearly no where close to talking about the new player experience. But they have the graphics plan finished. I’m going to say that what held up the dev video diary and what led to the mysterious butchering of the dev video diary was also what Cal cryptically referred to as happening between January 3rd and now, which is the graphics upgrade and its discussion. I don’t think it’s a coincidence that the dev video diary was delayed for so long and then within a week of it being released, they announce they have the graphics plan finished, nor was it a coincidence that they actually had to discuss whether to talk more about the graphics at the HOC. It also makes complete sense to have the graphics upgrade in place before the new player experience is ready.